Take in panoramic vistas of Lake Superior and snow-covered trees. Glide through glades of thick hemlocks, the sounds of your skis as your only company. Marvel at frozen waterfalls transformed by the cold of winter. Cross-country skiers and snowshoers will find a peaceful winter respite as they explore more than 25 miles of groomed cross-country ski trails surrounding the Porcupine Mountains Ski Area, which also offers ski and snowshoe rentals. Those looking to truly get away from it all can travel further into the Porcupine Mountains Wilderness State Park, which opens its nearly 90 miles of trails for ungroomed cross-country skiing. See a map of the Porcupine Mountains Ski Area’s groomed trails. 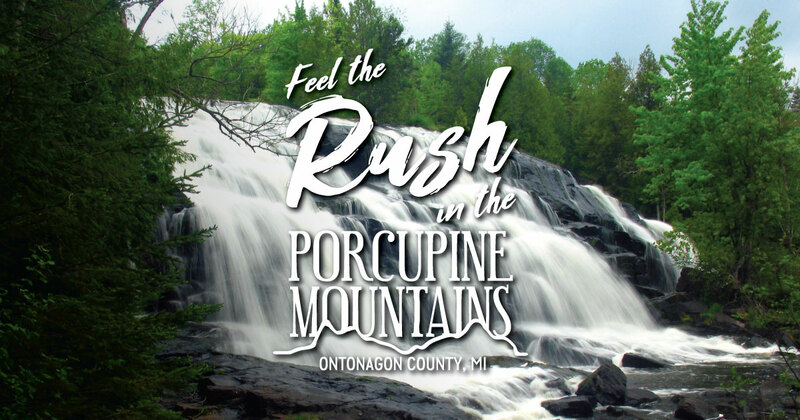 See a full trail map of the Porcupine Mountains Wilderness State Park.